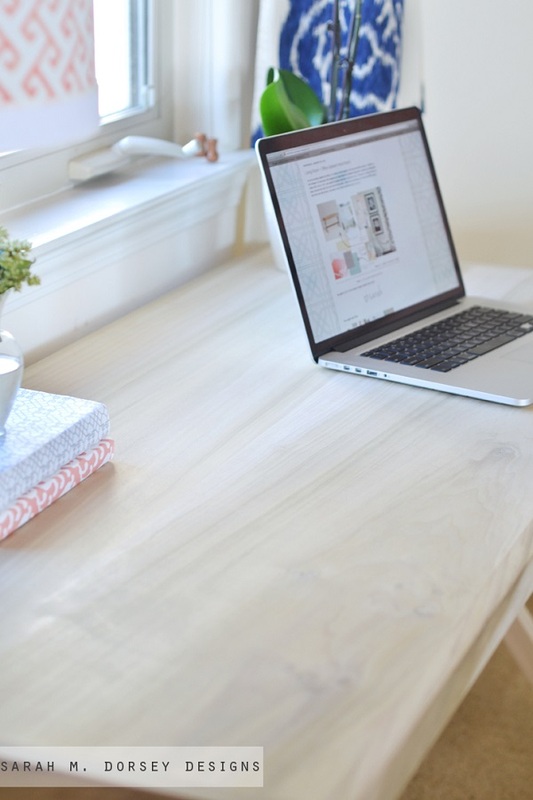 The need for an office space has steadily increased as more people begin working from home. Holding conference calls, planning projects and answering emails require a functional and comfortable space. The bulk of this work takes place at a desk. So why not incorporate it into your overall design? 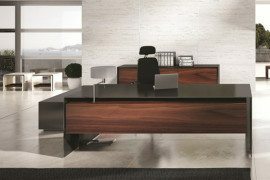 A beautiful desk is the perfect way to turn your office into an enjoyable space. 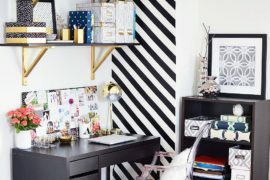 Here are some more DIY desk ideas to help give your office a special touch. 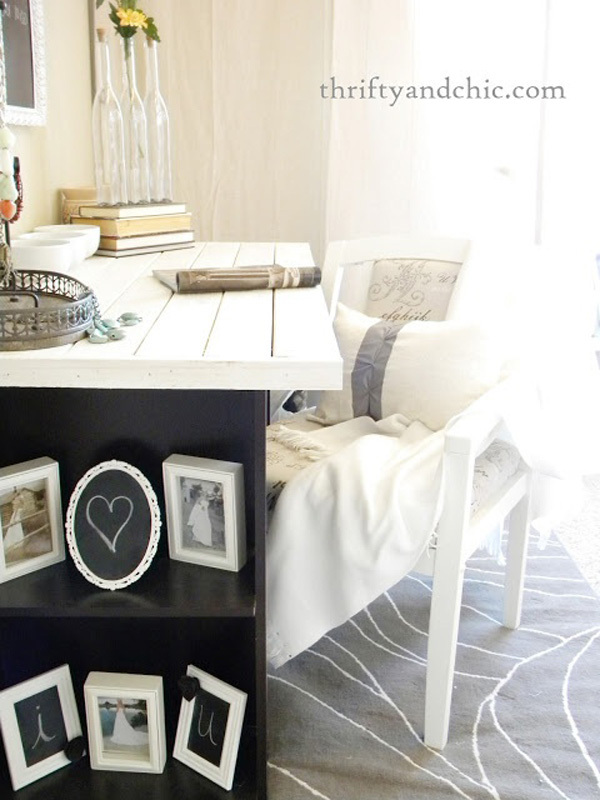 Salvaged wood takes on a new level of chicness with this desk DIY from HGTV. A door and two workhorses get a new lease on life with the addition of a glass work surface. Incorporating glass is a great way to reflect light and add a minimalist touch. Give the piece a clean look with a coat of white paint, or add a little personality with a dose of color. Placing pictures underneath are also a great way to keep inspiration on hand. Print and arrange images that drive your motivation and creativity. A simple glass worktop can help accentuate your room’s design without hiding anything behind the solid wood of a traditional desk. This desk from Dwellings by Devore allows the soothing lilac of her walls to peak through. For added elegance, the supporting wood trestle bases were painted in gold for instant glamour. Metallic hues are a great way to incorporate neutrals into a space without using typical black or white. Gold compliments a warmer color palette, while silver tones work well with cooler tones. 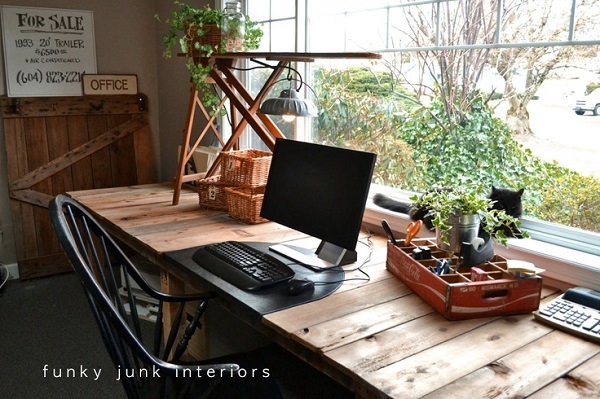 Many DIY projects today celebrate the beauty of repurposed wood, like this palette desk from Funky Junk Interiors. When recycling wood, refrain from painting if possible. 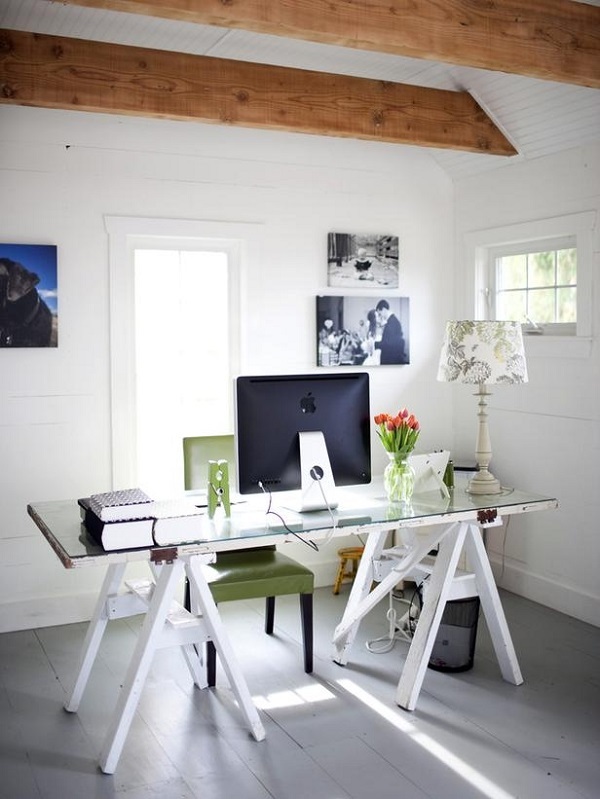 The charm of this farm style desk lies in the character of its dents and scratches. If you don’t have any reclaimed wood on hand, mimic the look with a clever paint job. 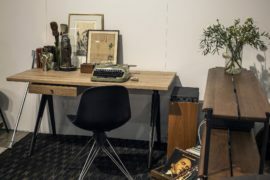 While it has an antique vibe, this desk from Stylizimo is actually made from new boards. Three coats of driftwood stain give it a worn appearance. For a project like this, leave the stained wood unsealed; a glossy sealant will detract from its rustic appeal. 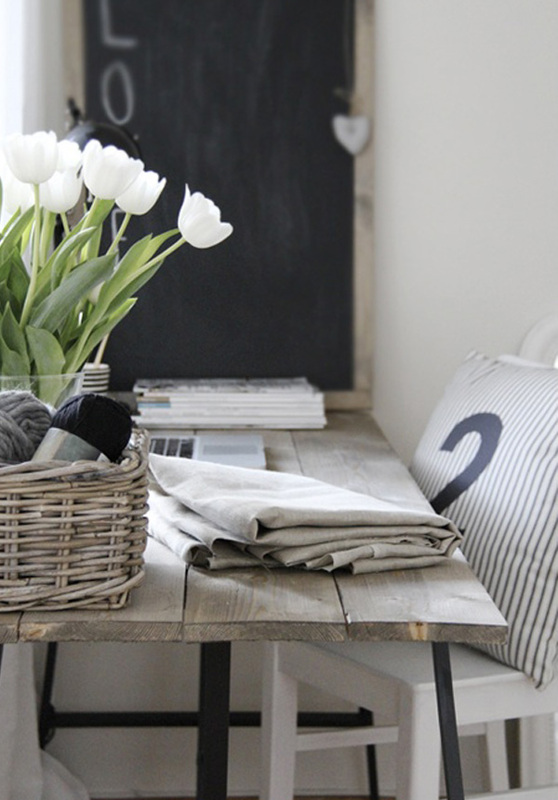 There’s something alluring about this desk from Emma’s DesignBlogg. 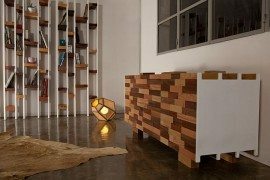 The design is simple- the combination of metal legs and wood allows the other elements of the room to take center stage. 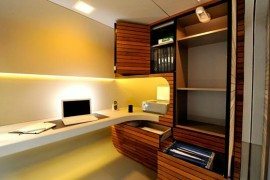 This type of project offers plenty of possibilities for customization. 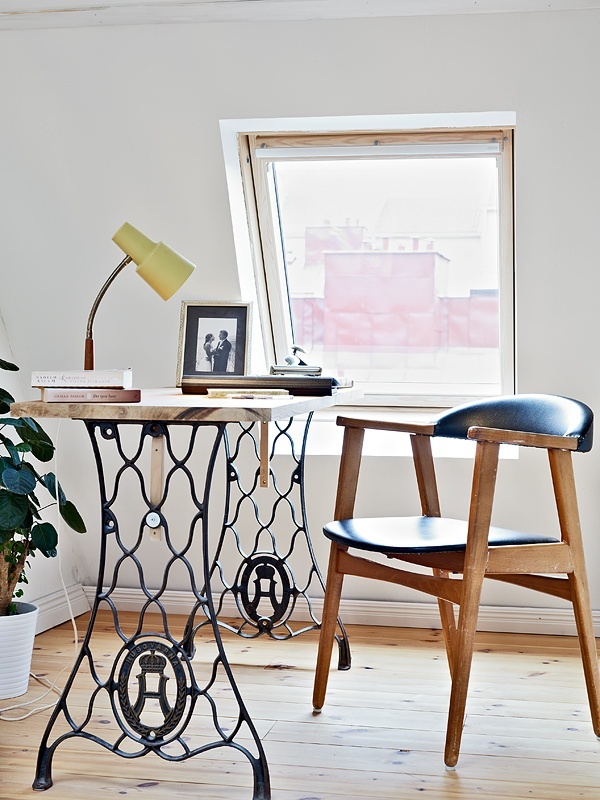 If you prefer an antique piece with a lot of history, use a pair of sewing machine legs for support. Try finding some at a thrift store or flea market. 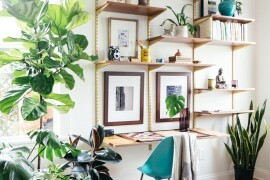 You don’t have to start from scratch to create an inviting work space. 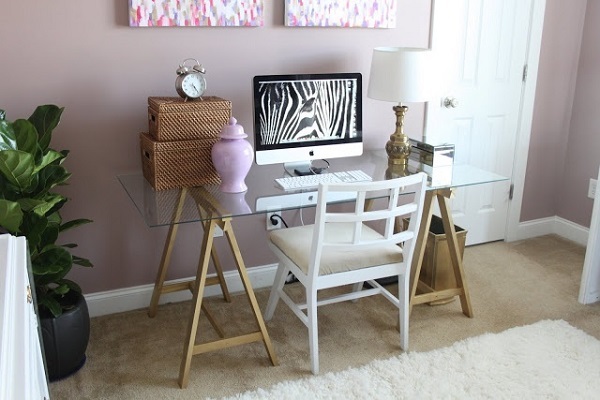 This desk update from Thrifty and Chic turned a forgotten desk into the ideal office companion. 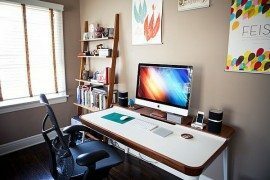 Build a wooden desk top to fit over the existing one and secure. 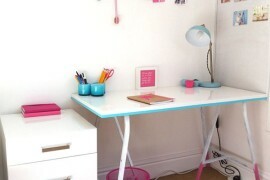 This is the perfect opportunity to customize your desk- extend the sides for more space. Not everyone has a desk lying around waiting for an update. If this is the case for you, build a desk from scratch! 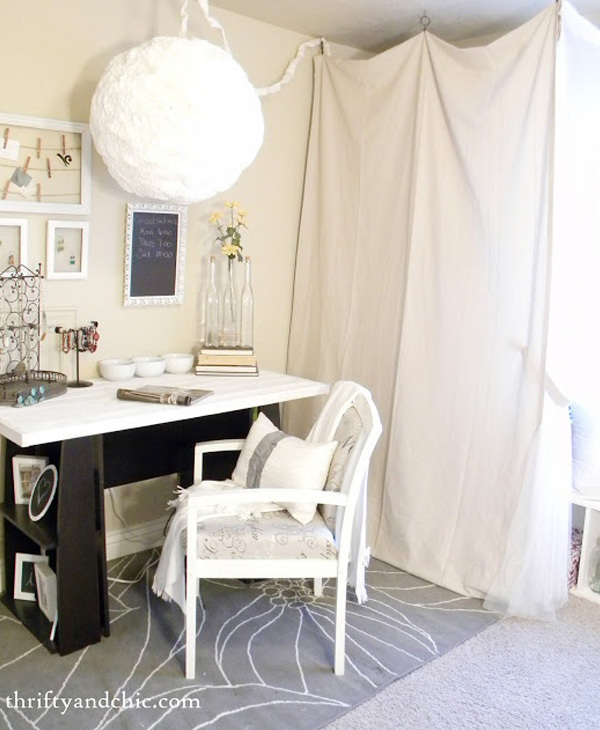 It’s an easy process- try using this DIY from Sarah M. Dorsey Designs. 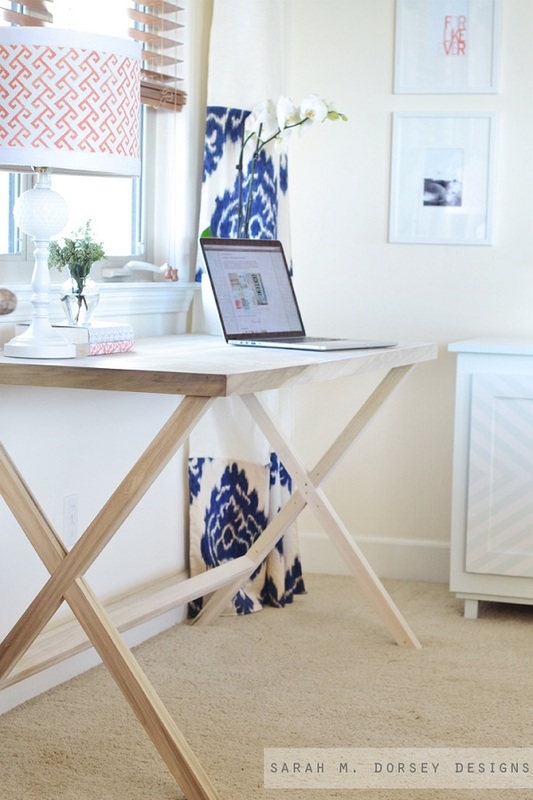 This campaign-style desk is a weekend project for that works for any skill level. 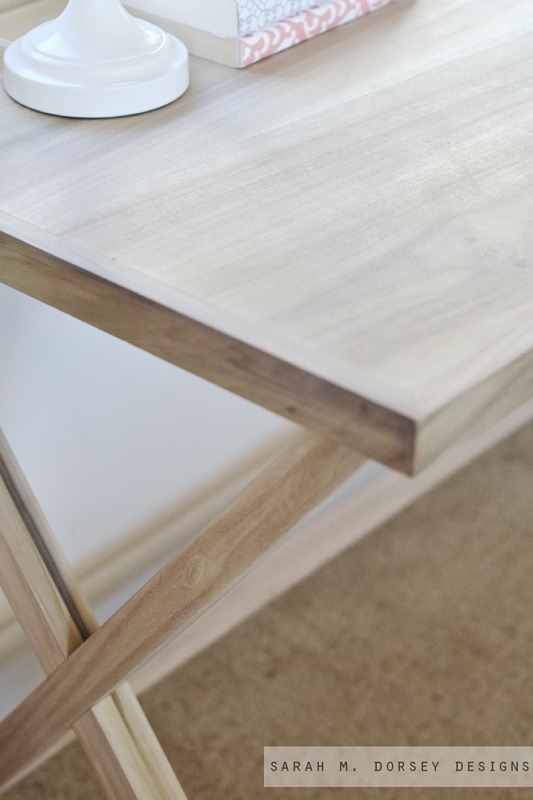 When working with wood that varies in color and grain, try to match your boards and legs for a seamless appearance. 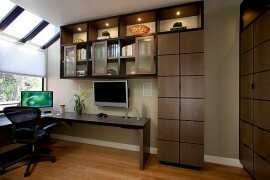 There are a variety of desk styles and materials out there to help you make your home office into a work sanctuary. 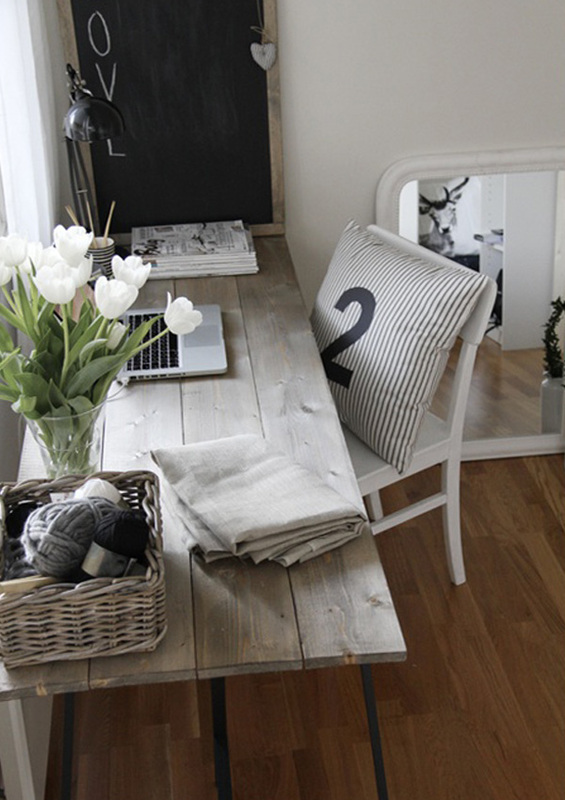 You never have to sacrifice function for design- incorporate both to create your ideal desk. If any of these projects inspired you or you have an idea of your own, tell us about it in a comment below.